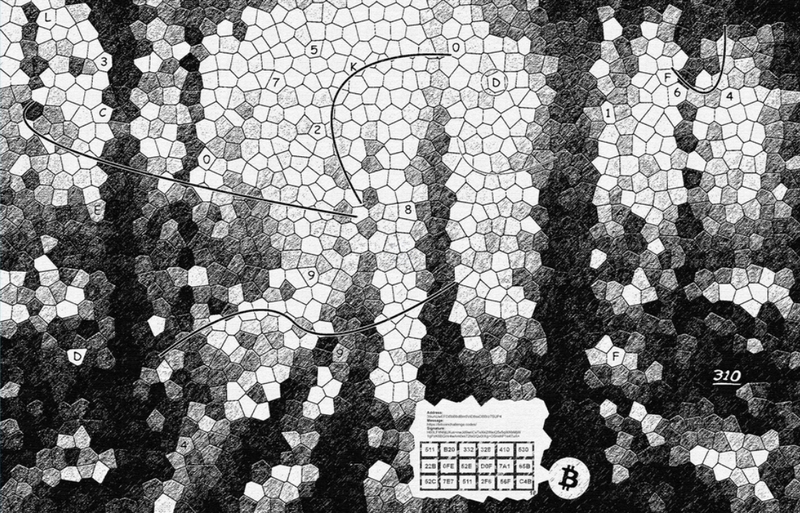 Within 8 days, the 310 BTC Bitcoin Challenge has been solved. On October 10, the wallet containing 310 BTC was emptied. On October 2 an anonymous Redditor announced the 310 BTC Bitcoin Challenge in a post containing a cryptic image, in which a private key to a Bitcoin wallet worth 310 BTC (now about $2 million) was hidden. The goal was to find the private key and remove the 310 BTC from the wallet. On October 10, the same post on Reddit was updated with the news that 'the 310 BTC funds were taken'. Pip, the creator of the challenge, continued: 'Whoever won the first prize, please get in touch with me'. It's not yet clear how the puzzle was solved, but the smart person who did it is now worth $2 million more. There were also 3 connected addresses containing 0.31, 0.2 and 0.1 BTC respectively. The 0.2 BTC wallet and the 0.1 BTC wallet are already emptied, the 0.31 BTC wallet is 'yet to be solved'. In this video, YouTuber John Hammond shows how the 0.2 & 0.1 BTC challenges were solved. if you need my help am ready to help.